China has a plan to lure its biggest companies back home. In recent years, some of the top names in Chinese business have chosen to go public on stock markets outside the world's second largest economy. Two of the country's leading tech companies, Alibaba (BABA) and Baidu (BIDU), trade in New York. Another, Tencent (TCEHY), is listed in Hong Kong, whose markets are largely separate from those on the mainland. Beijing wants that to change. "It basically comes down to pride and control," said Andrew Polk, founding partner at research firm Trivium China. "Chinese regulators don't like the fact that some of their marquee companies have listed overseas." 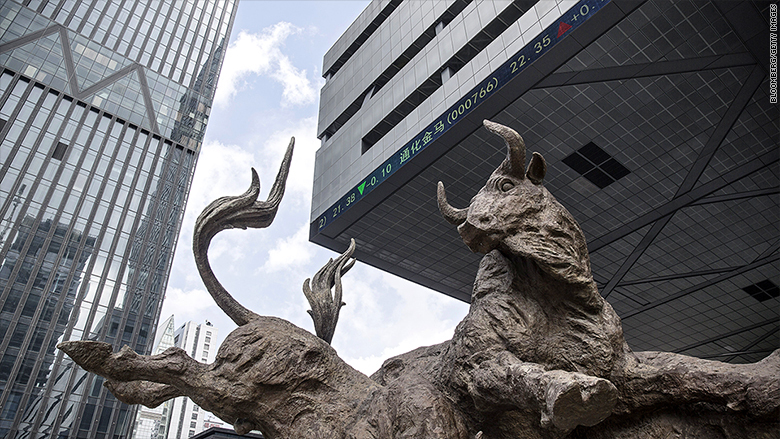 China's domestic stock markets have made themselves less attractive for some companies through a range of stringent requirements. And they don't allow dual class shares, which give certain stock holders more power than others and are common in the United States. Experts also regard China's financial markets as less sophisticated because they lack the big institutional investors that dominate in the United States and Europe. Now the Chinese government has a plan to loosen some of the restrictions. Under a program known as China Depository Receipts (CDR), big Chinese companies in high-tech industries will be encouraged to float their shares in either Shanghai or Shenzhen. They can do so while maintaining any existing overseas listings. Analysts say the move is part of plans by the Chinese government to exercise more control over privately run businesses. If China is able to convince some of its biggest firms to list back at home, it will allow the government to keep a closer eye on them and have a bigger say in how they're run, they say. The CDR initiative is "intended to further subject large Chinese corporates to Beijing's bureaucratic control," said Brock Silvers, managing director at Shanghai-based investment advisory firm Kaiyuan Capital. The Shenzhen stock exchange is the second-largest in China after Shanghai. The issue of Chinese companies listed overseas, particularly those specializing in technology, has become increasingly sensitive for authorities in recent months. "Technology has emerged more and more as an issue of national interest" amid rising trade tensions between the United States and China, said Lyndon Chao, a managing director at the Hong Kong-based Asia Securities Industry and Financial Markets Association. US officials have expressed deep concerns about China's plans to boost its homegrown tech industry in areas such as computer chips, artificial intelligence and electric cars. Luring the likes of Alibaba and Baidu back home is a way "for China to reclaim Chinese technology companies," Chao said. Bringing tech companies back would also give Chinese people more enticing domestic options in which to place their cash. Alibaba and Tencent's shares have skyrocketed in recent years, but those returns were largely off limits to Chinese mom-and-pop investors. China's government wants the benefits of their rising stock prices to "rebound to Chinese investors," Polk said. Some big Chinese tech companies have already said they could be interested in listing their shares back home. They include Alibaba, Tencent and Xiaomi, a top smartphone maker that recently filed for an IPO in Hong Kong. China definitely has some appeal: at $8.8 trillion, its stock market was the second biggest in the world last year, according to World Bank data. Investors in China are also often willing to pay more for stocks, based on company earnings, than their US counterparts, analysts say. China's stock markets could also soon benefit from big inflows of foreign money. More than 200 Chinese stocks will this year be added to MSCI's Emerging Markets index, a key benchmark for global investors. 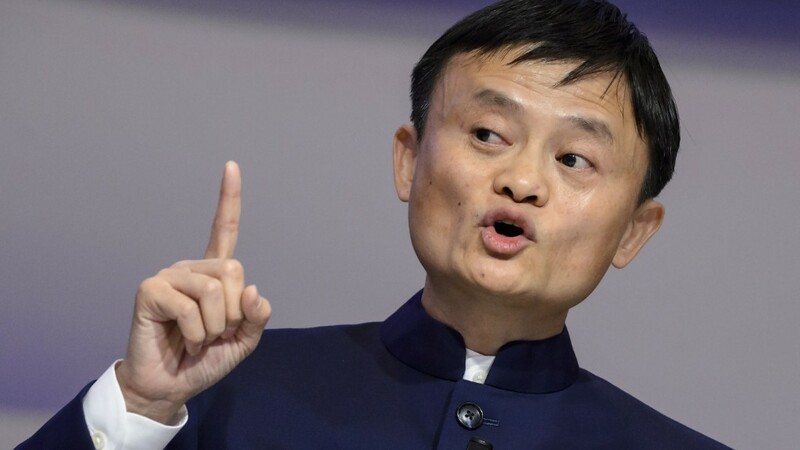 But there's more than just financial incentives on offer for the likes of Alibaba. It's also a question of staying in Chinese authorities' good books. "Their reward will be found in earning Beijing's confidence and approval," said Silvers. The Chinese government has shown its willingness to pressure homegrown tech giants when it deems they've crossed a line. Shares in Tencent briefly plunged last year after a state-run news outlet claimed its online games were leading to addiction in young people. The company now imposes limits on how much users can play games each day. "Chinese companies can see that this is a policy goal and so they will play ball or suffer the consequences," Polk said.